I have cookies on the mind and with a few play dates planned with friends and their kids, this was the perfect excuse to make a batch or two. My girlfriend told me she could smell these on the footpath leading up to our house and was positively drooling. One batch is definitely not enough, as my kidlets and hubby gobbled these up before I even had two, so I had to make another batch. 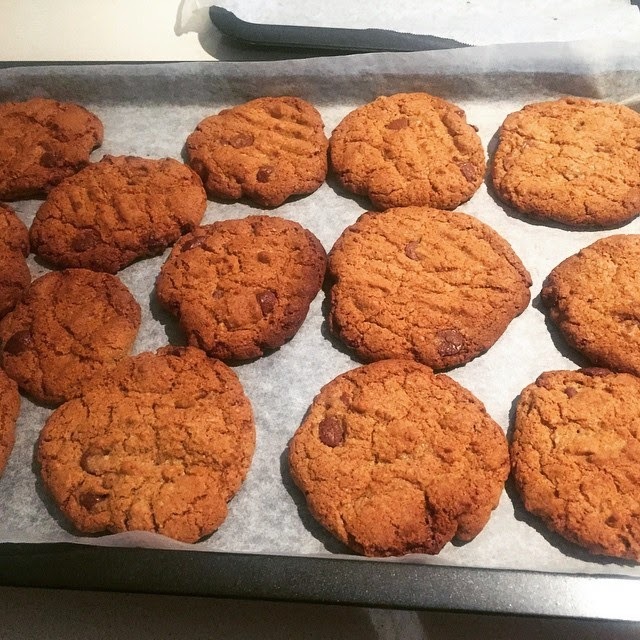 How can I refuse my youngest when he asks "more cookies please mummy". 8. Bake for 15 mins or until golden brown. 10. Watch out they will be gone in 60 seconds. Store in an air tight container for upto a week, if they last that long.